Do you think there is a shot Google might try to make some play on the Wikimedia Foundation to get some kind of stake in Wikipedia? That seems like a real natural target and would give them one more search result for pretty much every topic known to man. Thanks Aaron atlast for writting few words about the google search algo. I hope google wont turn into evil gaint or people will start lossing trust when they dont find what they are looking for. Though i able to out rank YouTube for "Mobile Videos" i.e No.1 Spot it stays their in dec and now januray it keep on moving from No.1 to and No.25, No.33 and so. Might be trust issue. Google will eventually DIE if keep on doing this. What happens to search if Google buys wikipedia then? Top 10 searches from google powered sites. Google's on thin ice with me.... a few more moves in this direction and I'm switching to Clusty.com for all my searches. While I do laud most efforts at editorial search (as I do believe this is the one way the web will become accessible), this type of move does appear a little counter to the goal of pulling 'objective" listings. While it will indoubtably affect some verticals quite a bit more than others, it's interesting how this might play out. Looking at it conversely, however, you've got to ask-is this really any different than Yahoo's SSP-the difference here of course is that in order to rank well organically, instead of paying for a link you just partner up with Google. Was there EVER a secret algo? And to think we pay $$$$$$$$ to Google to increase OUR rankings! Apparently the only way to do that is to have google buy US!!! Maybe it's time to revolt! A grassroots effort to uniformly blog the heck out of a powerful, lesser known search engine may be in order! Or band together and create our own search engine. Maybe google should learn the same lesson the British learned from the colonists - that would be us: treat us unfairly, tax us, try to control us, and we may fight back! I think it's both! The thing with Google is they live and breathe off of it's users "trusting" that Google will give highly relevant results. 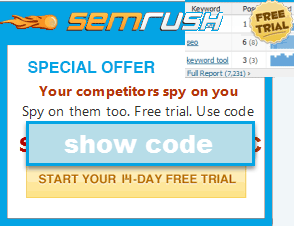 While they are inserting some of their own or their partner type sites in top positions, it's still relevant to a user. They also really are only doing this in specific markets like music. I think as a whole Google won't start doing this in every market. If they did people would quickly understand that they are not getting the best variety of results and thus would look to Yahoo or MSN for their searches. I noticed that Google is now putting Magazine search results on top! What the heck is going on? Why do magazines all of a sudden get top placement? "If Google is willing to send significant traffic to trusted sources how could those sources do anything but trust Google?" because, by sending traffic to a source, you are effectively bribing it. yep! That is a pretty sweet concert. i think this is a stupid theory. you tube and G news pages are indexed everywhere. would it be really so hard to think that google had something to do with programming the sites enhancing them to appear on the results?!? ...Stop using 20% of my webmastering time making sure that my site is SE compliant and optimized. Truthfully, I just launched a site and have used NO linkbuilding strategies or unruly SEO and it's doing just fine. 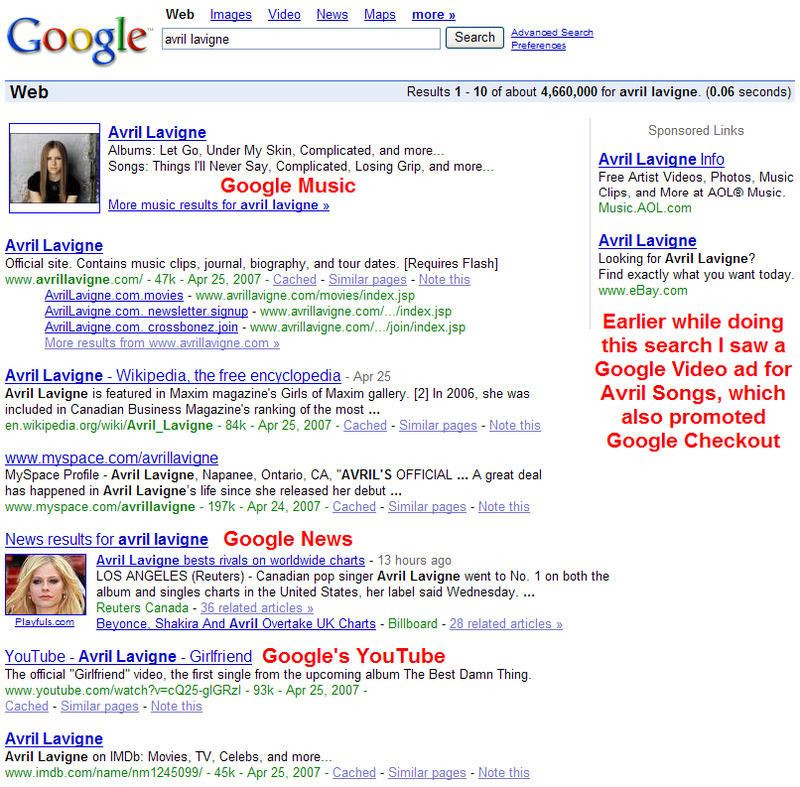 If you advertise well, Google will follow. Just don't chase google. 1) They will all have lots of high-quality links coming in from other Google properties, which I believe have loads of high-quality links coming in themselves. 2) They are actually good websites in terms of optimising. Google does design friendly content. 3) Obviously they know how to be friendly to their own algorithm. I'm not saying they don't human-edit certain listings, I think it's obvious that they do sometimes, but these websites but would be strong in the rankings anyway, even if Google didn't own them. Google checkout was launched in the UK a week or so back; as of today a search on Google UK (worldwide results) for "google checkout uk" only puts http://checkout.google.com/?hl=en_GB at number 4 (probably because they haven't put "UK" in the page title? :-) ). They have got a top Adwords listing, but you'd think if they could manipulate the organic results manually, then they would have done to coincide with the offical launch...? Unless no-one searches for "google checkout uk" and there's no point of course. You can manually alter the search results or you can develop an algorithm to favor editorially trusted partners. Humans write the algorithms and the relationships with trusted partners are editorial. And Google News is not heavily indexed in Google or other search engines...Google just recently stated that they were going to mix fresh news into their organic search results. 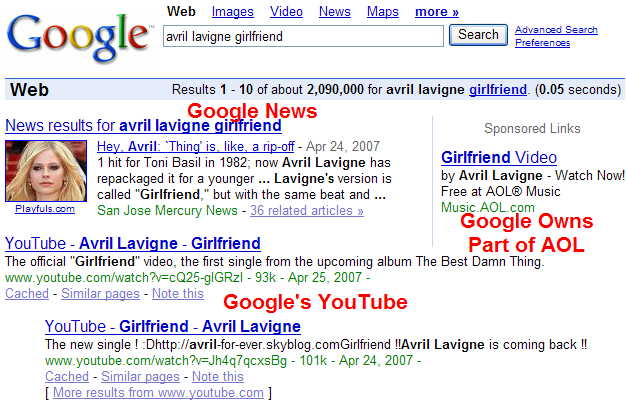 "what is the real name of Avril Lavigne?" I tried these queries in MSN and ASK without luck so until now I stick to Google as the best search engine. And in the beginning, Google had the trust of the people. They espoused a new creed on the internet, Do No Evil. But as their power grew, so did the money. And those that came to Google soon forgot about the creed of Do No Evil and started to worship to the alter of money and shareholders interests. And in the distance a new prophet is seen. No one knows its name, but it remembers the creed of Do No Evil. And as the people saw a true example of Do No Evil, Google looked like a false prophet in their eyes. It did not happen all at once, but soon the people turned away from Google and started learning from the new prophet and Google went into the memory hole with the older prophets AltaVista and Excite. The moral of this parable is that when you say you will Do No Evil, you have to always Do No Evil. Once you start doing a little evil, you start looking like one that proclaims she is a virgin but in reality is the town bike. Omg, Google has control over live.com SERPs too! Notice how Microsoft loves Wikipedia and YouTube.